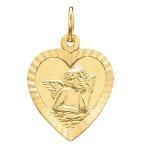 Most of the world's religions teach the reality of angels. 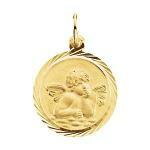 Pure spirits, created by God, full of wisdom, power, beauty and truth. 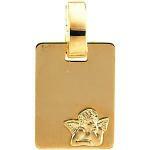 Angel means messenger, indicating that God often used, and uses, them to communicate His plans to the people. 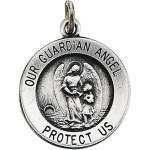 Scripture teaches that everyone has a guardian angel, whose job it is to watch over them and guide them safely to heaven. 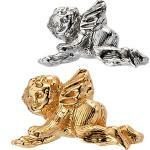 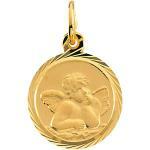 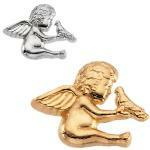 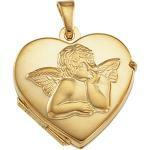 Our angel lapel pins, angel medals and guardian angel pendants and charms are made from solid 14K gold.